These posts come from the predecessor to PaleoPathologist.com and are here for your interest and reference. Low carb, super low carb, ultra low carb, what does it all MEAN? What other than weight loss has eating low carb done for people? What? Calcium supplements might do more harm than good? Forgiveness and reconciliation will be needed. Who is Phat Phobic out there? BroScience. What a great term. Made another great frittata today. But what do you eat? My breakfast frittata. The PaleoPathologist spent 30 years working in a hospital diagnosing disease, and also has a terrific loving family and four grandkids. 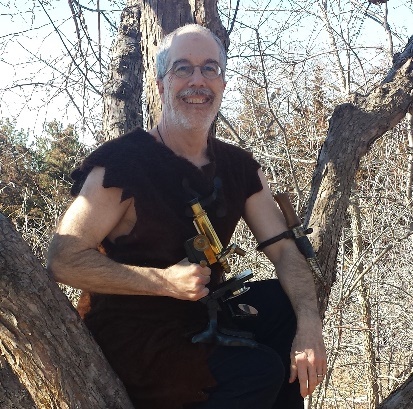 A few years ago, he decided that staying around a long time sounded like a good idea, and first started with classic Atkins low carb dieting and is now exploring various tribes in the “Paleo” community. Come on along with him! You gotta eat some dirt. An addition to the famous Liver Post: Eat the Offal! admin on Diabetics, can you really get off insulin with diet alone? Jenny on Diabetics, can you really get off insulin with diet alone? admin on What one exercise modality gives you bone and muscle strength AND cardio conditioning? Margaret on What one exercise modality gives you bone and muscle strength AND cardio conditioning? Machines vs. Barbells - Page 2 | Mark's Daily Apple Health and Fitness Forum page 2 on Have you ever seen a super slow/slow burn/bodybyscience workout? ©2019 The PaleoPathologist. Powered by the Get Noticed! Theme.